Nokia Mobile added on their official Facebook page an event for the 25th of February. 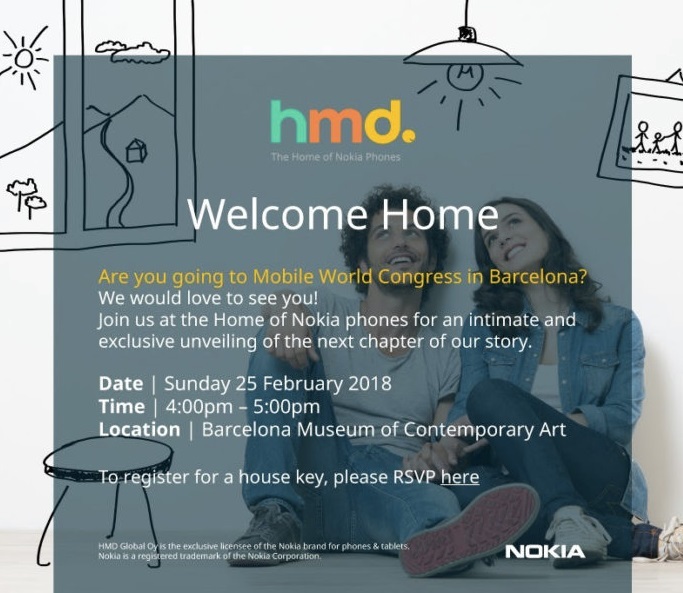 On the 25th, the day before Mobile World Congress 2018 officially kicks off, HMD Global will hold a press conference to announce new Nokia devices. The event will be live streamed via Facebook and Nokia.com/phones. The live feed will be added to Facebook and Nokia.com/phones hours before the event starts, I presume. The starting time is 16h Barcelona local time, that is 15h GMT. You can calculate the time for your time zone here.